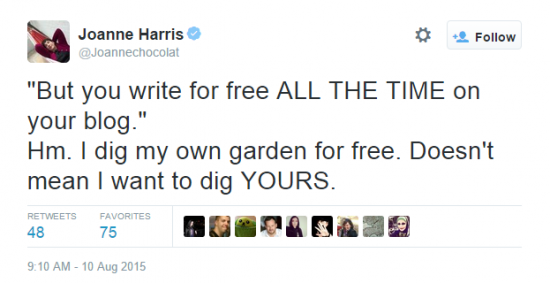 The rather awesome Joanne Harris tweeted a great analogy on working for free. If you’re sick of requests like that, sign up for the Freelance Confidence mailing list now. Share the post "Novelist Joanne Harris on Being Asked to Work for Free"